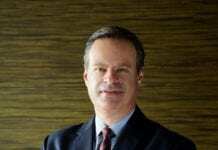 The InterContinental Mark Hopkins in San Francisco announced Pace as the hotel’s new General Manager. 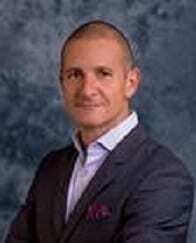 Pace was previously Area General Manager for Sonesta Hotels, based at The Clift Royal Sonesta Hotel, San Francisco. While Pace cannot pinpoint an exact experience that led him to pursue a career in hospitality, he knew he wanted to serve and make people happy. He attended Bournemouth University’s hotel school in England and began his career in Italy. He later spent seven years in various management positions at hotels in England, France, Germany, and his native country of Malta before moving to the United States with his wife. Pace originally committed to working two years in the States. However, he is still calling it home, having embraced the culture and community of the city. Throughout the last 20 years in San Francisco, he has worked with some of the finest hotels and hospitality companies including Kimpton hotel group, W Hotel, Evolution Hospitality, CLIFT Hotel, sbe Group, and Sonesta Hotels. In addition to his diverse management and operational experience, Pace has been a leader in sustainability efforts across San Francisco hotel properties, first in co-creating and launching the “Earthcare” program at Kimpton and later driving the W San Francisco’s sustainability efforts. These programs have set the standard for sustainability in the hospitality industry far and wide. For his work with W Hotel, Pace received Starwood’s Sustainability Leader Award in 2010 recognizing his efforts in helping the hotel become the 7th property worldwide to achieve LEED EB Silver status. As an award-winning hospitality professional and thought leader, Pace is frequently invited to speak at national environmental meetings. With a keen interest in sustainability, mentorship, and guest speaking, he is actively involved in the local community. Pace currently serves as president for the Hotel & Restaurant Foundation where he oversees the granting of more than $200,000 a year in scholarships throughout California and is the Chairman of the Board of Directors for the California Hotel and Lodging Association and is on the board of Hotel Council of San Francisco. A native of Malta, Pace is fluent in Maltese, German, Italian, French, and English. When he is not at the InterContinental Mark Hopkins, he enjoys gardening, mountain biking, and spending time with his family in Novato, CA.